A long-standing favorite, this ultimate collection features our signature pieces such as Bear Claws Royale, hand-painted Truffles and other confections sure to delight. This timeless collection bears the name of our founder because it includes an assortment of our most classically-crafted, longstanding recipes. 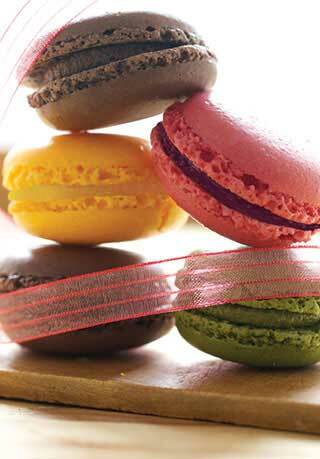 Enjoy these confection-case favorites that our customers have savored from generation to generation. You'll discover signature pieces including Bear Claws Royale, hand-painted Signature Truffles and other best-selling confections. 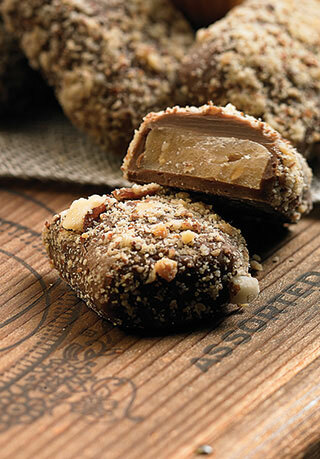 Bissingers chocolate is a one of a kind treat. I let them melt in my mouth. Bissinger's is the best! Amazing selection of products! Great taste! Ordering process is sooooo easy! I send their products as gift frequently....makes a great impression! 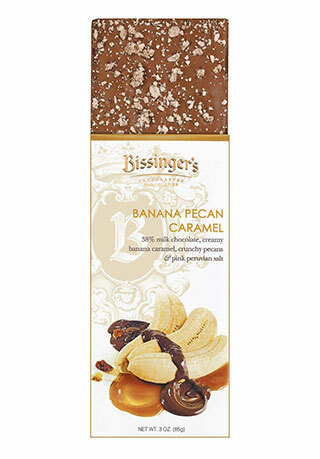 As always Bissinger's Chocolate's continue to be the best Chocolates in the world! The collection has a wonderful variety of chocolates that pleases everyone. Additionally, my friend loved this box as a gift. package arrived as scheduled. i purchased this as a Christmas Gift for a friend who loves chocalates, if the whats inside the box taste as good as the box looks i have no doubt she will Love it. My mother is thoroughly enjoying "her box" of candy. Chocolates were all amazing. My only complaint is that I only got to eat one of those amazing lemon cream chocolates! Typical excellent quality and on time delivery. doing business with Bissingers is a pleasure! I sent these as a gift to my daughter-in-law who had never experienced the Bissinger delight. To say she was delighted would be an understatement. These chocolates never disappoint. Mom is enjoying the 30 piece Dark Chocolate Karl Bissinger Collection we gave her to Mother's Day. Each day is a treat for her to open the box and find a hard time to select which one to pick. Please give it as gift to a loved one as a treat. The chocolate was of course delectable, but I was highly disappointed that the box did not come wrapped in that beautiful flower wrapping paper as had been advertised. I felt really ripped off about that. A favorite gift for me to send to friends and family as the service is impeccable and the product is always delightfully received and enjoyed. The dark chocolate you have is excellent. I wish you had more choices in all dark! Arrived to Florida in perfect condition. Special chocolates. When I send a package to a friend that was delivered by FedEx but apparently taken from her porch I asked Bissinger If I could get a price break on the reorder fully intending to spend the full amount. To my glee the company representative gladly resend the package. This time it was sent directly to my friends work where she enjoyed the wonderful candy. Great customer service thank you . Every piece of this collection was scrumptious. Smooth, creamy, the way chocolate was meant to be. Needed a client gift and I wanted to support a quality local business. Ordering online was easy. Customer Service assistance was great. Clients were delighted. Karl Bissinger assortment box is full of delightful candies which have been a highlight at get-togethers and as gifts! The chocolates were a gift to me. However, since I am not a fan of dark chocolate, most of the chocolates were eaten by my family who enjoyed most of the chocolates. The solid pieces have been left uneaten. Seems everyone prefers more of a mix. My wife was very pleased with her gifts. We always enjoy the quality, extreme flavors and the careful detail to packaging Bissingers offers. Feb 2, 2017 | By M. B. Way too over-priced. Some chocolates were too hard to bite into. 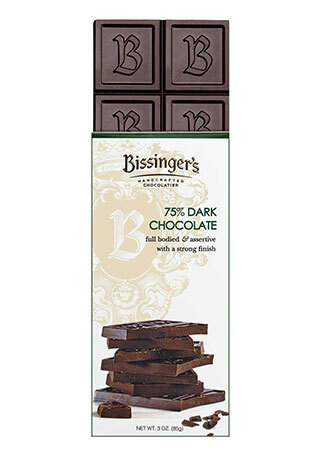 I have a huge family and Bissingers makes it so very easy to send them excellent chocolates. Shipping arrangements are the best. I enjoy the assortment very much. It is fun choosing one (or more) each day. Each choice is delicious. Excellent chocolate & service. Right on schedule. My husband took the box to his office. His colleagues thanked him profusely and ate them all within the day! My husband and I wanted to send something special to his mother for her birthday, and we chose to send your delicious chocolates along with your French macarons. My mother in law and father in law along with several friends absolutely adored your delicious, beautiful chocolates, and loved the beautiful packaging. They're even keeping the gorgeous box to put special momentos in. Thank you for taking such great care in your product preparation and packaging. Excellent assortment and top-notch quality of candy. Expensive but nice for an anniversary or such. shipping is expensive especially in this terrible heat but the quality could not have been better so it was worth it. 30 PCS. & 66 PCS., ASSORTED INGREDIENTS: Chocolate (Sugar, Whole Milk Powder, Cocoa Butter, Unsweetened Chocolate, Soy Lecithin (an emulsifier), Vanilla, Sugar, Rice Syrup, Molasses Chips (Sugar, Corn Syrup, Molasses, Salt), Cherry Cordials (Sugar, Cherries (Glucose-Fructose Syrup, Calcium Chloride, and/or Calcium Carbonate (a firming agent), Cocoa Butter, Corn Syrup, Chocolate Liquor (processed with alkali, (High Fructose Corn Syrup, Contains 0.5% or Less of The Following: Soy Lecithin (an emulsifier), Invert Syrup, Natural and Artificial Flavor, Citric Acid, Potassium Sorbate, Sodium Benzoate and Sulphur Dioxide (preservatives), Red #40), Milk, Heavy Cream, Pecans, Macadamia Nuts, Almonds, Unsweetened Chocolate, Inulin, Dried Cream (Cream, Soy Lecithin, Tocopherols and Ascorbyl Palmitate (to help protect flavor)), Butter, Cranberries, Invert Sugar, Raspberry Powder, Chocolate Liquor, Raspberry Flavor, Vanilla, Tart Cherry Powder, Raspberries, Salt, Natural Flavor, Orange Powder, Lemon Powder, Raspberry Juice, Citric Acid, Invertase, Soy Lecithin (an emulsifier), Cream of Tartar, Peppermint Oil, Fumaric Acid, Lemon Zest Oil, Dried Egg White, Raspberry Seeds, Color (Rice Protein, Annatto Powder). CONTAINS: Eggs, Milk, Soy, Tree Nuts (Almonds, Macadamia Nuts, Pecans).